Fall SPA Week (Oct. 17-23) has started and I hope you have booked a spa treatment since it's only $50! Spa Week is a great way to try out different treatments at participating Spas in your area. Who does not want a nice massage or a facial or both for a bargain? Today, I want to share with you my experience at one of the participating spas for SPA Week. 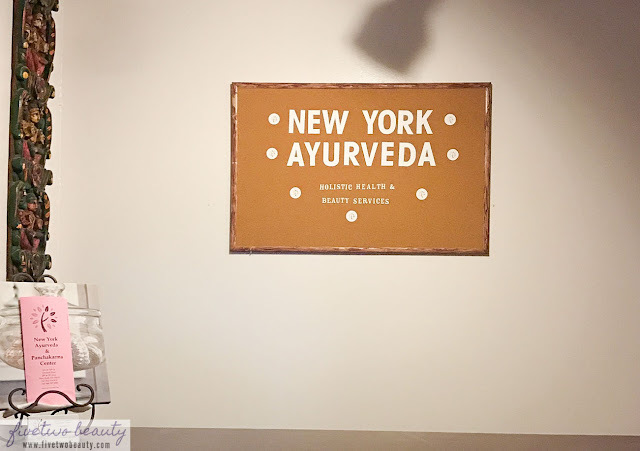 New York Ayurveda is located at 315 W 55th St New York,NY. Located in the Ground floor of the building, the place is small, quiet - not a lot of outside noise even though they are located at a street level floor. In Ayurveda, every individual has a unique combination of physical, mental and emotional characteristics, which is his or her constitution. Body, mind and consciousness work together in maintaining balance. Internal and external factors can act to disturb one's constitutional balance. In "Ayurveda", both the environment and humans are composed of five basic elements: Air, Space, Fire, Water and Earth. The predominance of these elements affects the three metabolic characteristics of individuals, which are referred to as Doshas. These three Doshas are Vata, Pitta and Kapha and individuals can be classified as one of these three constitutions or as a combination of two or even three of the Doshas. The goal of Ayurvedic Healthcare Products and Services is to help individuals take advantage of the strengths of their Doshas while at the same time limiting the weaknesses. This is made possible by maintaining the Doshas at an optimal level through a range of treatments gathered in Ayurvedic texts. Before I started my treatment, I filled out a form to figure out my Dosha, which is actually the combination of Pitta and Vata. The therapist then knows which parts of my body to focus on more, and so the treatment is adjusted to your Dosha. I chose to get the Gharshana-Abhyanga, which started with a dry glove exfoliation of the body. "The brushing (garshana) increases circulation, cleans the skin and stimulates the removal of accumulated toxins, so herbal oil treatment penetrates deeply." This was followed by the Abhyanga massage, "...oils and strokes are chosen according to body type and body condition. Some of the benefits of abhyanga are: Reverses, prevents aging and increases longevity." The room was dimly lit and a warm oil is slowly applied as she starts the treatment, after gharshana. My therapist definitely had hit the right spots! She focused on my shoulder area more as this was the most "knotted part" in my body. She then moved on to my feet which was not as bad as I thought since I am very ticklish with my feet (hence I do my own pedicures). She finished the treatment with a facial and head massage with no oil application, and that was heavenly! I wish that lasted as long as the body massage. Have you checked out the salons participating in your area for FALL Spa Week? 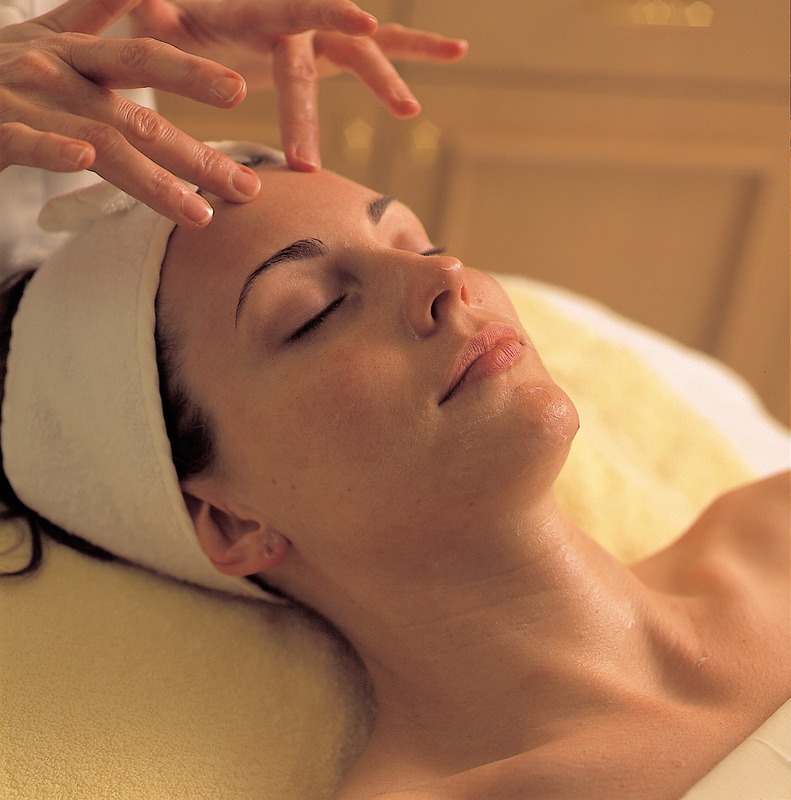 *Treatment and information used on this post were provided by Spa Week. All opinions stated on this post are 100% mine. Please see the Disclosure Policy tab for full information.